This blog focuses on our family’s personal vacation and travel experiences. While some of our blog posts are non sponsored, we do offer sponsored posts and reviews and will inform our readers of any posts that are sponsored or paid in kind. Why work with us? We offer first hand reviews and tips designed to help other families like ourselves select new travel destinations and make product purchasing decisions. Our readers know they can trust our opinions and follow our tips for the best experiences. In fact, we continue to answer questions and engage with our readers offering private/offline advice about products we have reviewed and destinations we have written about anytime our readers contact us regarding one of our posts. We offer an overall vacation review and sponsored blog/video travelog updates to family friendly locations. View an example of our travelog updates here. 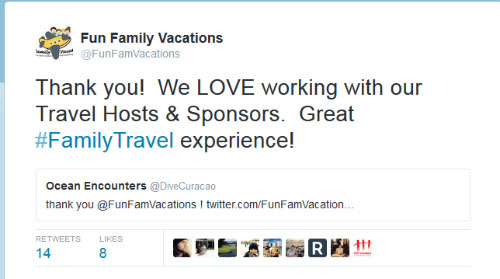 Please email FunFamilyVacay (at) gmail (dot) com to set up a sponsored trip. Pictures and details of our experiences will be posted on Facebook, Google Plus, Pinterest, Instagram and Twitter throughout the visit. We will promote our visit in the week leading up to travel on social media and in some cases a written pre-event article on our blog. Your location/attraction/event will be featured in a post-event blog. Articles are permanently archived and may be cross-linked with future “like” articles on our blog (if applicable). We will promote related give-aways for the location/event if requested. (Must be family friendly and related to the event/location). If applicable a short “home” video will be posted on YouTube featuring our experiences at your event/attraction. We will offer an honest review and state within our blog that the review was a paid advertisement or that free items were received to review. I will be honest with all reviews and let you know ahead of time if it is not positive. Products do not need to to be travel related. Our readers have a wide range of interests. We can host product giveaways via Rafflecopter. A Link ad/banner ad to your website/product for a very reasonable monthly rate (starting at $20). We only accept family friendly ads. We also accept ads to your vacation rental, vacation planning, or travel destination site. 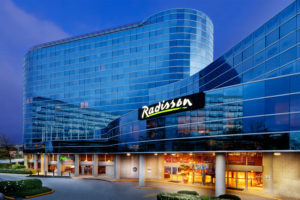 Please review examples of previous posted travel deals here. The travel specials and deals page is popular with our readers and we regularly share new specials on our social media pages. For a minimal charge, starting at $5 per post, we will post/share/tweet your message to our followers. We also offer 5 tweets for $15 – we will tweet your message five times over a one week period. (Must be family friendly). Please email us for details. We abide by all FTC and Social Media Laws and Requirements and Blog With Integrity.